Best anabolic steroids from Kalpa Pharmaceuticals. 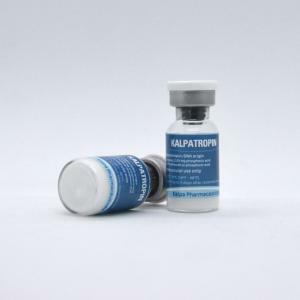 Kalpa Pharmaceuticals is a leading Worldwide Pharmaceutical company engaged in the manufacture of anabolic steroids formulations; specializing in sterile, pyrogen free injectables, ophthalmic solutions, and oral steroid pills. Kalpa Pharmaceuticals Ltd. recognizes the right of all peoples to consume a pharmaceutical medication with confidence of the purity and effectiveness of their life saving product. Kalpa brand will comply with the current international good manufacturing practices to insure that all products will retain their purity and efficiency. It will be the goal of the company to install effective cost reduction programs so that the medication can be available at a reasonable price to the public. Kalpa Pharma follows internationally accepted cGMP in the manufacturing processes as well as Quality assurance. Kalpa’s most important manufacture is the anabolic steroids, ancillaries, weight control pills. Primary focus, since the inception of the company is to produce quality injectable products, assuring that product is sterile and pyrogen free. Manufacturing of Kalpa Pharmaceuticals steroids is made in batches. For each batch, the production department issues a production order, and a master batch production record is kept in the batch production master file. The batch production record has all the necessary detailed instructions to guarantee reproducibility from batch to batch. Every step of the manufacturing process, our dedicated team members keep the mission statement in mind; to produce quality steroidal products so that it will retain it’s purity and effectiveness throughout the shelf-life.